King`s Transfer is a proud supporter of the ALS Society of Manitoba. King’s is proud to be able to support them in their fundraising efforts, provide them with moving services and aide them with their charitable endeavors. King`s Transfer accepts donations of dried and canned food stuffs from customers that we are moving and we drop them off at Winnipeg Harvest’s busy depot. Many customers that are moving long-distance leave behind cupboards-full of food items that won’t travel well or cannot be transported. These are gratefully accepted by those in the community that are in need. King’s Transfer collects used furniture, clothing and appliances for RaY. RaY provides housing for youth, that are in need of support. King’s Transfer Van Lines is happy to collect household items, that are in clean & functional condition, from our local move customers. These items will be returned to our warehouse by our drivers and held for RaY’s use in the future. The inaugural Winnipeg Folk Festival was held in 1974 as a one-time celebration to mark Winnipeg’s 100th anniversary. It was a free event and attracted an estimated audience of 22,000 over the three-day weekend. Since then the organization has grown considerably with cumulative attendance that now exceeds 80,000 visitors from across North America and around the world. The Winnipeg Folk Festival present dozens of concerts and events throughout the year, support our community with education and outreach programs and operates a folk music store and performance space in Winnipeg’s historic Exchange District. King’s Transfer is proud to support them in their efforts. 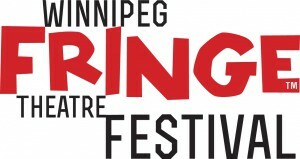 King’s Transfer is proud to support the Winnipeg Fringe Theater Festival on an annual basis. The Winnipeg Fringe Theatre Festival was founded as part of the Royal Manitoba Theatre Centre in 1988. It currently ranks as the second-largest event of its kind in North America and welcomes over 170 companies from all over the world. The Winnipeg Fringe Theater Festival provides artists with complete artistic freedom to present what they want on stage and returns 100% of box office revenue goes directly back to the performing companies. The Winnipeg Fringe Theater Festival draws indoor attendance of over 100,000 patrons each year and has ingrained itself within the fabric of a Winnipeg summer.